When you dissect the Argentina / Netherlands game, one name keep standing out: Javier Mascherano. He offered more creativity than any other midfielder, and played intelligent balls into their defensive 3. 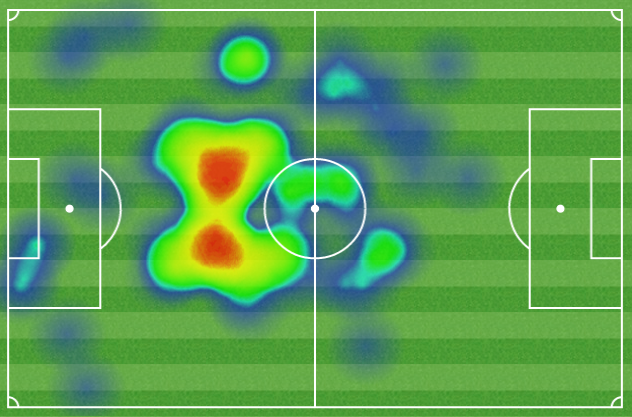 But even more important, made some key stops in defense that kept Argentina in the game. He was the man-of-the-match by a large margin. The best opportunity for the Dutch came to Robben, who was denied by a magnificent sliding tackle from Mascherano, covering behind his centre-backs in a last-ditch effort. All the while, he was playing with a concussion! How he was allowed to continue is baffling, but thanks to the questionable medical ethics, Argentina is moving on to the finals. Yes, he was amazing, for sure.